Well it was a truly amazing Saturday at Construction Junction in Pittsburgh. 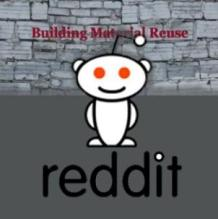 To contribute my ideas and vision and energies in the arena of creative repurposing or applied deconstruction was an honor. Two years ago I worked as a welder fabricating the Rose Parade Floats for the City of Portland, Oregon. 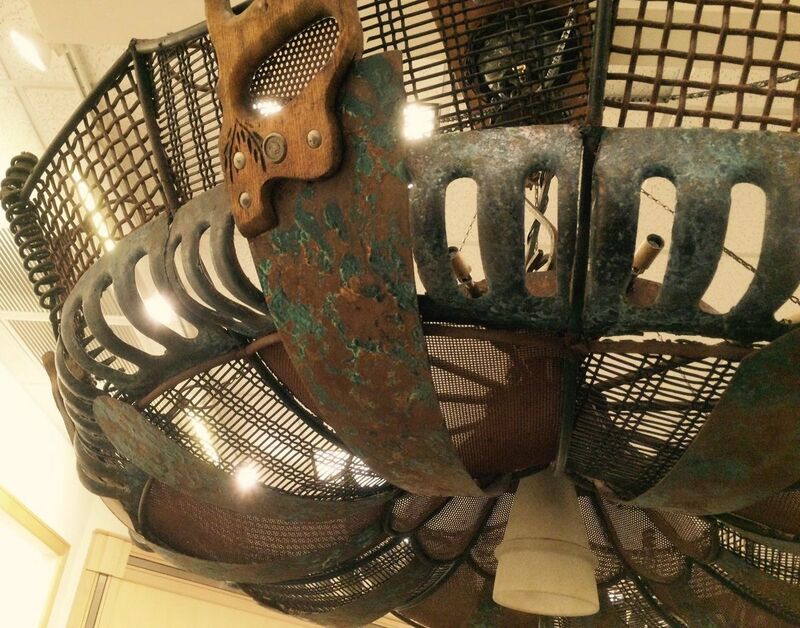 This chandelier is made from a support armature that was eventually cut out of the float structure. 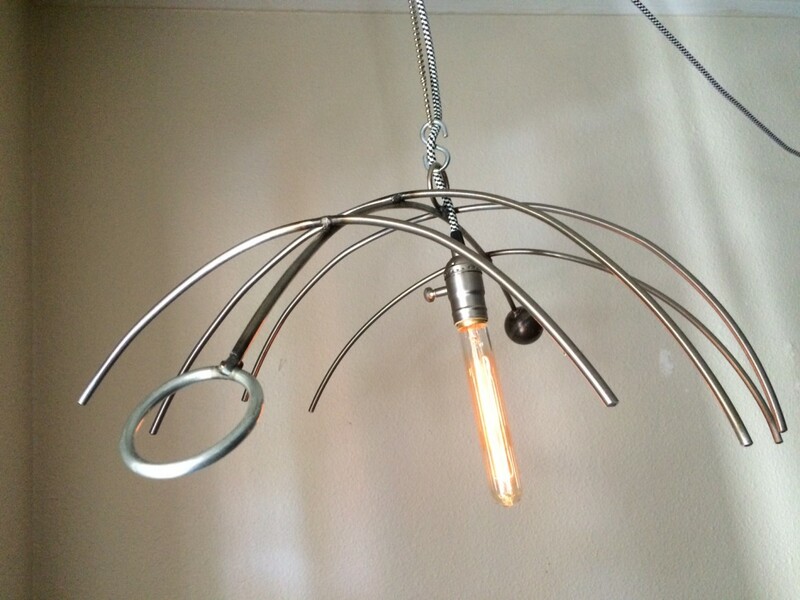 It makes a perfect modern hanging light. 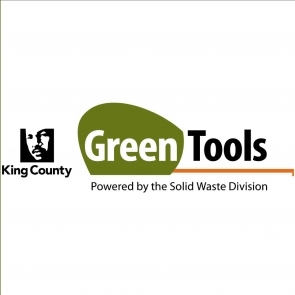 Own a piece of Portland reclaimed history! Reclaimed steel armature from the City of Portland’s Rose Parade float. 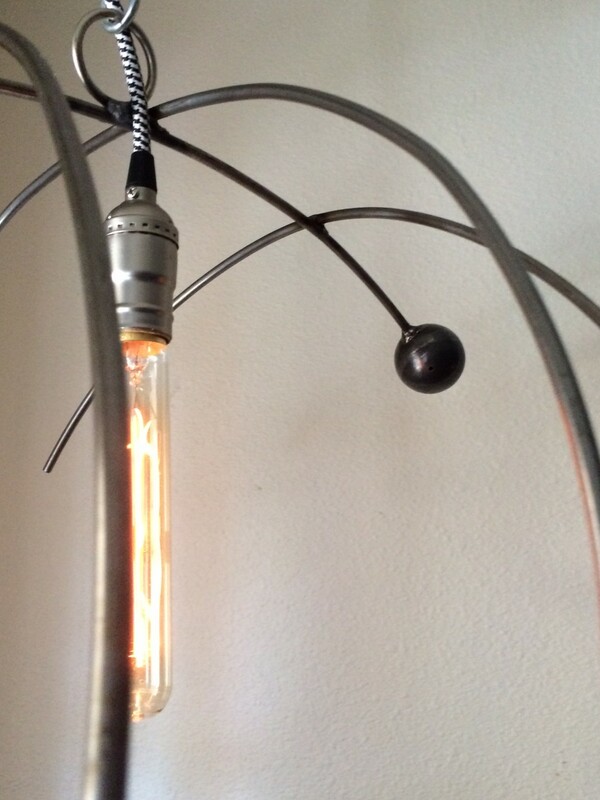 Edison bulb, cloth covered wire, dimmer switch. $225. 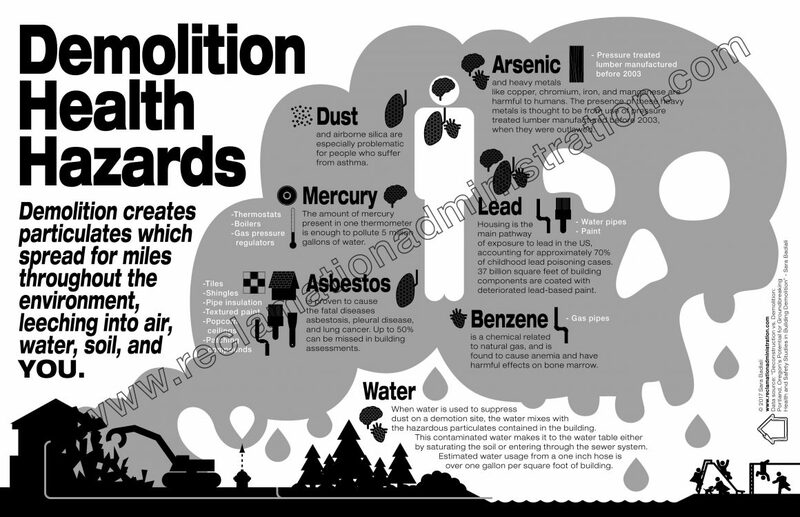 Contact reclamationnews @ gmail for purchase information. MATERIALS: Piano keys reclaimed from early 20th Century piano. Bulbs: 3 x 1 ft incandescent display bulbs. Stroudfoot’s full-service workshop and design studio is located in Liberty Village in downtown Toronto. Clients are invited to tour its studio to view Stroudfoot’s inventory of reclaimed raw materials, an inventory replenished through regular sourcing around Ontario and the NE United States. From antique woods to one-off vintage pieces, the workshop and design studio is at the heart of Stroudfoot. via Reclaimed Piano Chandelier – Gallery: Lighting and Wall Treatments 1 – Stroudfoot Design…Sleek Decay…Furnishings & Lighting…Custom, Turn-Key…Design-Build. Noble salvages – History is right at home as architects rethink the remnants of time. 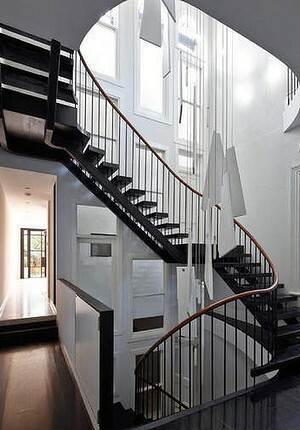 A chandelier made from a staircase. ”The old blond brick warehouse on Anstey station was totally covered with graffiti,” Breathe design director Jeremy McLeod says. Bricks salvaged when the building was demolished were reused in the lobby, making a virtue of the graffiti. ”The bricklayers loved it. They’re used to graffiti artists destroying their brickwork, so they got to reassemble it the way they saw fit. The new pixelated effect of the graffiti looks sensational,” McLeod says. 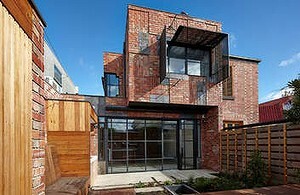 The rear of Cubo house. Custom Creations from Reclaimed and Refined Products. Welcome to Born Again Wood Works! We take what was “dead” for one person, recreate it into a new showpiece for someone else, and give it a new purpose in life. 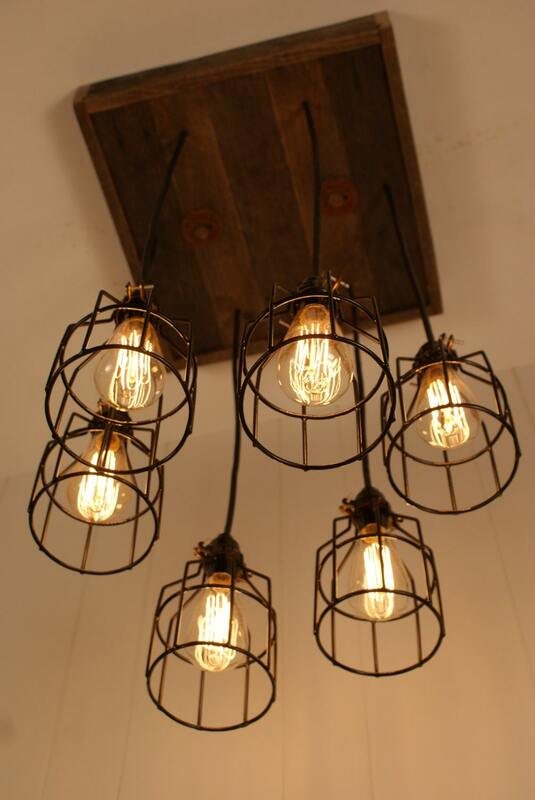 Our products include reclaimed, up cycled, re-purposed wood, rustic hardware, and custom lighting. via Custom Creations from Reclaimed and Refined by Bornagainwoodworks. 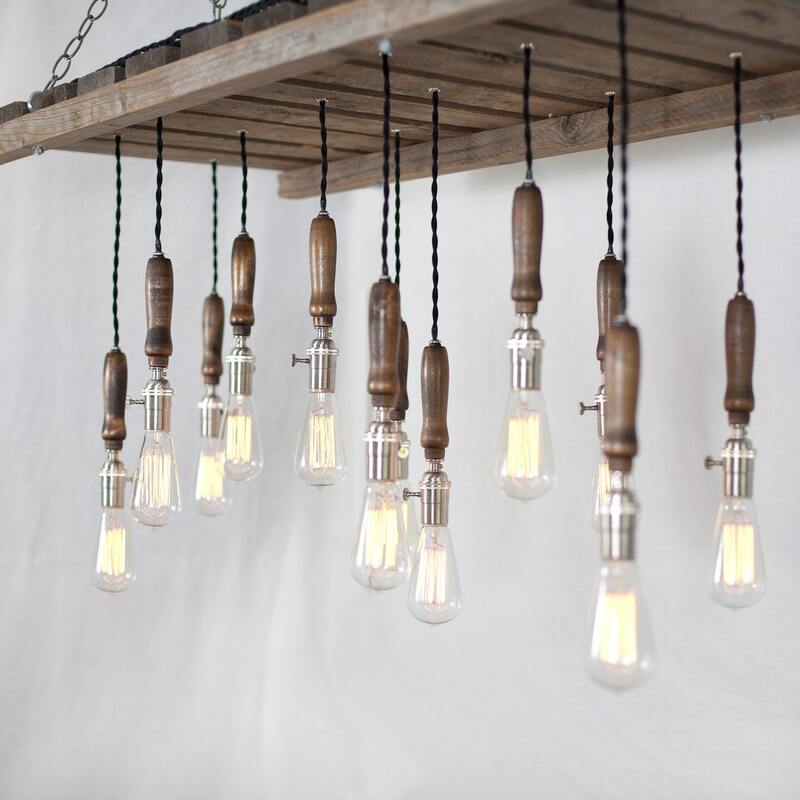 The chandelier is made from a single piece of salvaged wood that is strung with a slew of Edison bulbs with funky coils. via Urban Chandy’s Recycled Chandeliers Use Vintage Edison Bulbs with Cool Coils | Inhabitat – Sustainable Design Innovation, Eco Architecture, Green Building. 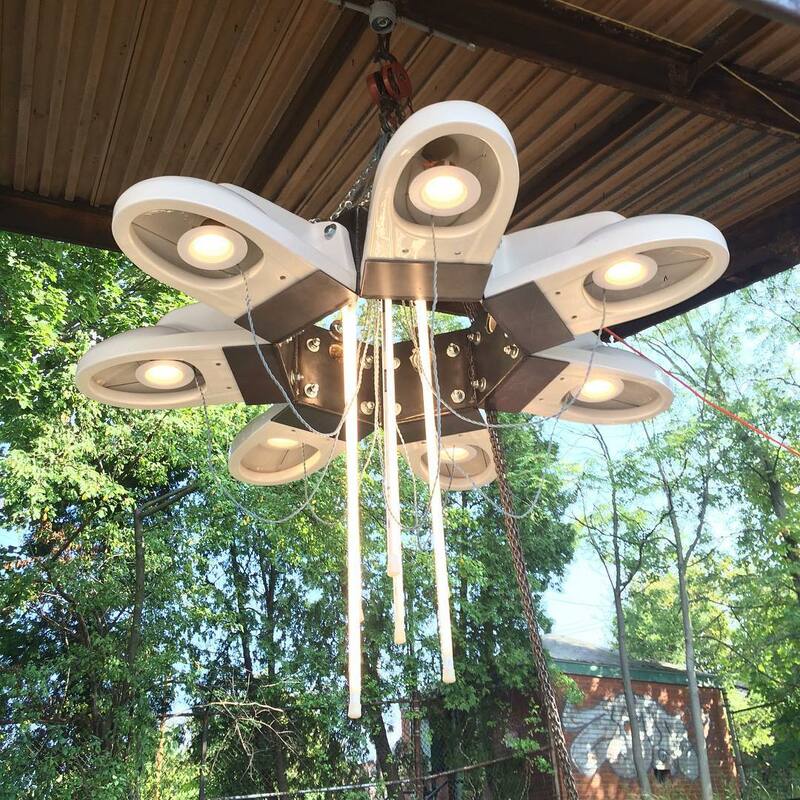 This piece is so much more than just a CHANDELIER. The front is a real 1949 Packard grill.the The front wheels are off an old 57 Chevy. The back wheels are only 6 inches high. 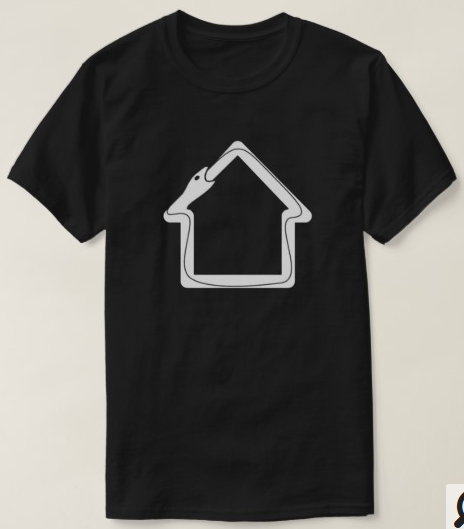 You can see by its perfect scaling,it looks like an optical illusion. There are 4 halogen LIGHTS on the bottom. The body is made of fiberglass and the wood trim is mahogany. This is the perfect LIGHTING over a bar or pool table. 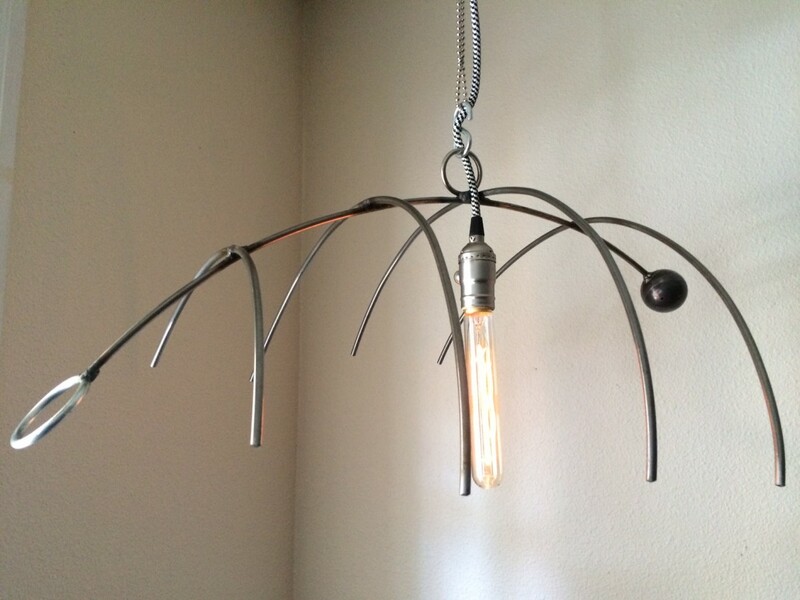 via Hand Made The Roadster LIGHTING/ CHANDELIER by Stapleton | CustomMade.com. 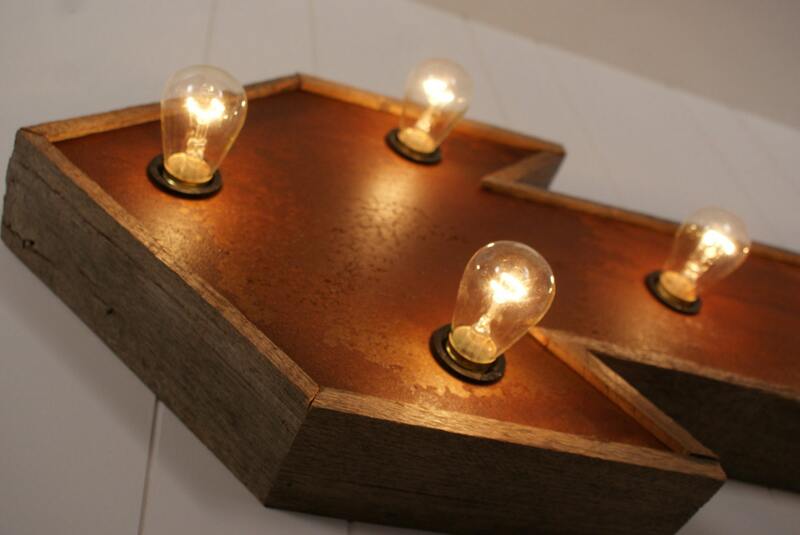 Reclaimed wood from an old coca-cola pallet, this magnificent piece is sure to turn heads. 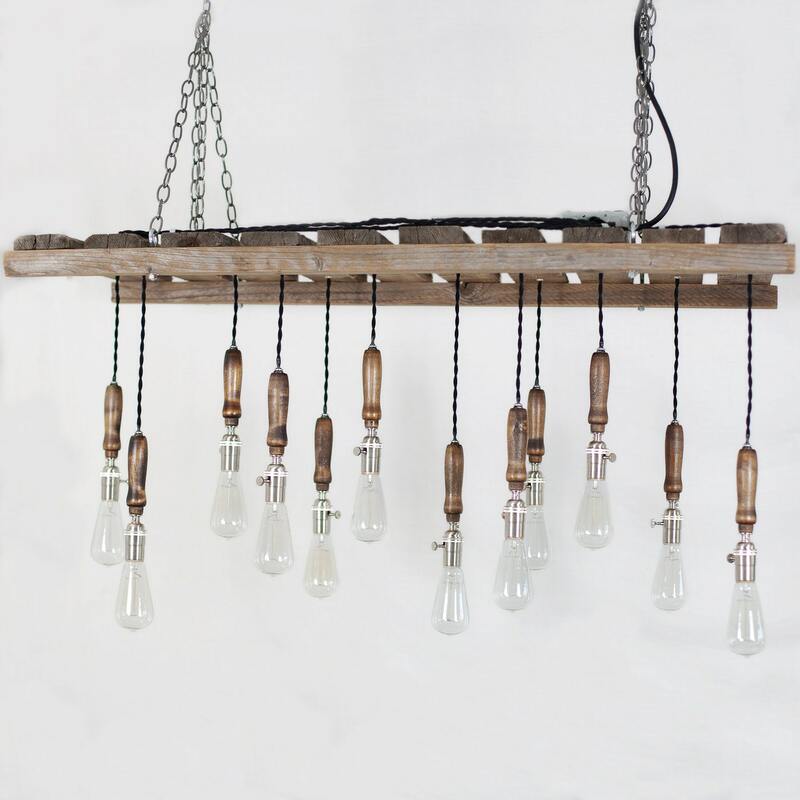 Featuring 12 vintage trouble lights hung at various lengths, this pallet chandelier is the perfect piece for your flat, house, office or establishment. 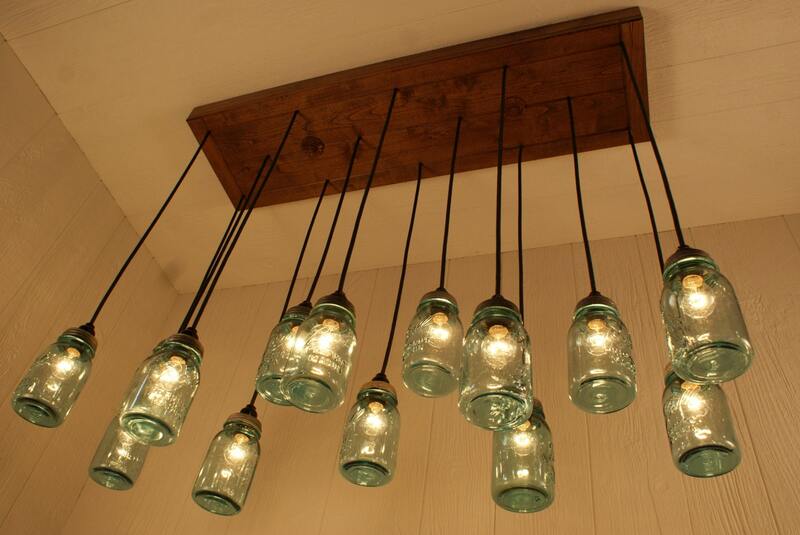 via Wood Pallet Chandelier 12 Bulb by typewriterboneyard on Etsy.